With just $800 borrowed from his family, Motown founder Berry Gordy, goes from featherweight boxer to heavyweight music mogul, discovering and launching the careers of Diana Ross and the Supremes, Michael Jackson and the Jackson 5, Stevie Wonder, Smokey Robinson and the Miracles, Marvin Gaye and many more. Motown The Musical uncovers the story of the legendary record label that changed music history and created the soundtrack of a generation. Featuring an eighteen piece orchestra playing 50 Motown tracks including My Girl, Dancing In The Street, Ain’t No Mountain High Enough and I Heard It Through The Grapevine, Motown The Musical is a musical sensation with real soul. 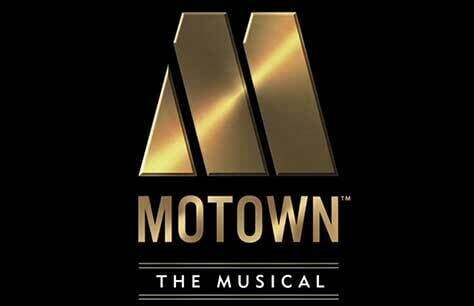 The Tony nominated Motown the Musical received its world premiere in April 2013 in New York with Berry Gordy and legendary Motown artists Diana Ross, Smokey Robinson, Mary Wilson, Gladys Knight and Stevie Wonder attending opening night. The show began its West End run in February 2016 with Gordy, Robinson and Wilson once again supporting the show on opening night. Subsequently, during the London run, The Four Tops and Martha Reeves have also visited the production. The first US National Tour opened to critical acclaim in Spring 2014 in Chicago and continues to play to packed houses across America. From 7 March 2017 the West End cast comprises Cedric Neal as Berry Gordy with Lucy St. Louis as Diana Ross, Obioma Ugoala as Smokey Robinson and Sifiso Mazibuko as Marvin Gaye. Members of the ensemble play the roles of Eddie Kendricks, Jackie Wilson, Anna Gordy, Esther, Teena Marie, Florence Ballard, Martha Reeves, Tito Jackson, Jermaine Jackson, Mary Wells, Mary Wilson and Stevie Wonder. The ensemble features Cameron Bernard Jones, Ryan Carter, KM Drew Boateng, Samuel Edwards, Dujonna Gift-Simms, Vanessa Fisher, Terique Jarrett, Cleopatra Joseph, Wilson Kiiru, Natasha Leaver, Brandon Lee Sears, Kieran McGinn, Simone Mistry-Palmer, Samuel Nicholas, Brianna Ogunbawo, Matt Overfield, Jay Perry, Timothy Quinlan, Simon Ray Harvey, Sharon Rose, Lawrence Rowe, Ashley Samuels, Carl Spencer, Richard Taylor Woods, Alex Thomas-Smith, Cherelle Williams ,Michael Woolston-Thomas and Jayme-Lee Zanoncelli. Nana Ageyman-Bediako, 11 years old from Haringey, London, Raphael Higgins-Humes, 11 years old from Greenwich, London, Rio Myers, 10 years old from Lewisham, London and Tumo Reetsang, 12 years old from Southwark, London alternate the role of Young Michael Jackson. Motown the Musical is proudly supported by Swarovski crystal who originally partnered with the show on Broadway and provided 400,000 Swarovski crystals for costume and set. This review is not reflective of the production or talent of/in Motown. The main problem had to do with those sitting next to us. A couple seated in the Royal Circle kept talking, texting, and playing on Facebook. My husband asked the gentleman to put his phone way but he replied that could not because he had to answer work calls. Work calls...on Facebook? Hmmm... Another attendee was also seen flinging parts of the show. Please, please have ushers walk around the theatre during the performance to ensure that audience members are following the rules. Great music of course, excellent cast, superb musicians. What a fabulous show. I’ve loved Motown for ever but now I know the story of its development. Magnificent.